Dante’s Diamond is a newly approved NRPS stallion. 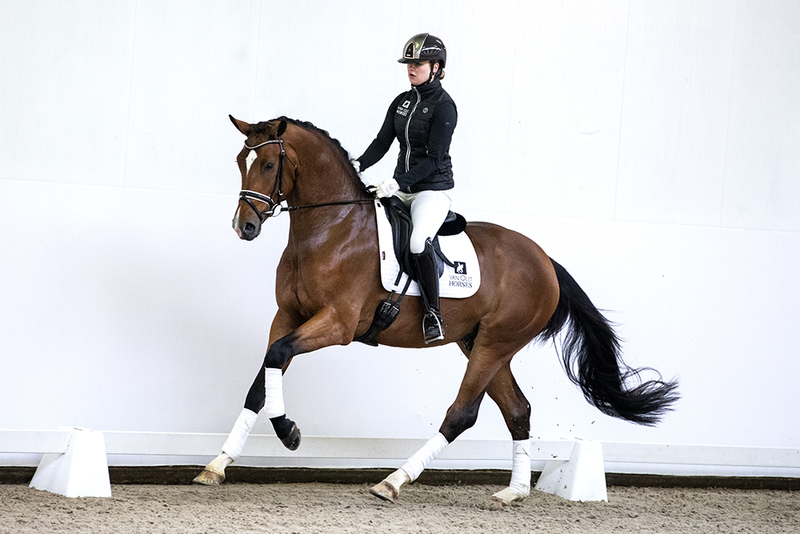 His sire Dante Weltino is the revelation of the past few years and a true asset tot the Swedish Dressage Team. For breeding he has made a good impression. 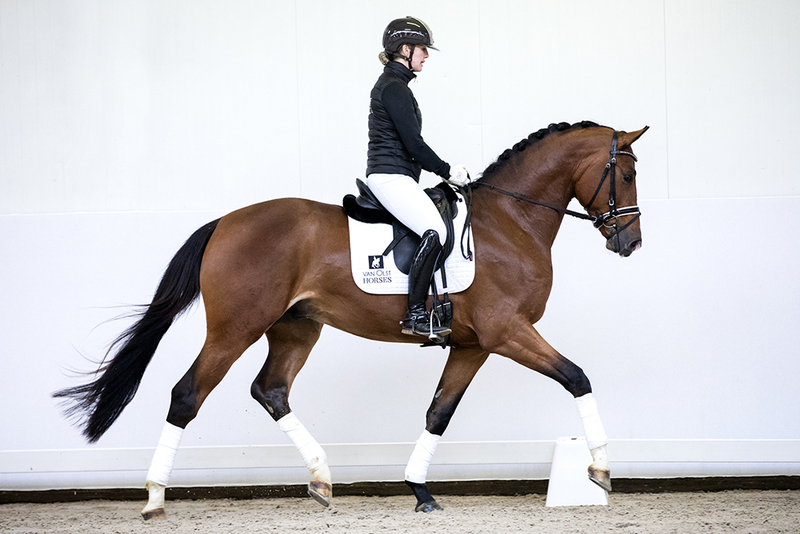 Dante’s Diamond’s mother (by Lord of Loxley x Sir Donnerhall) produced Primo V (by Nespresso) who was one of the top talents sold at last year’s Van Olst Sales 2018 (to Denmark). Dante’s Diamond is not under saddle that long, but despite this he is showing his talent and willingness.